Decoration : Her old kitchen countertop needed a metamorphosis: For $30 she made miracles! 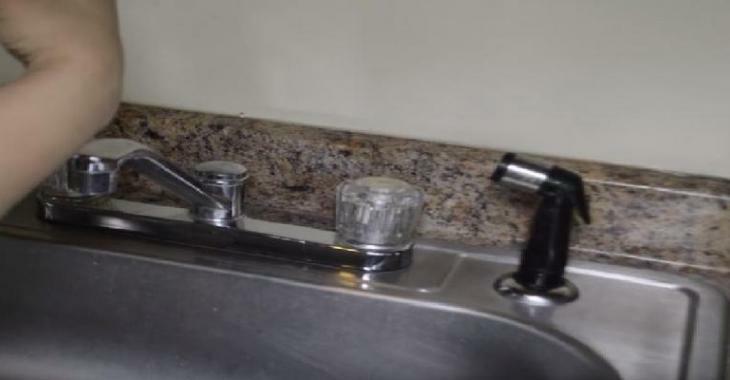 Her old kitchen countertop needed a metamorphosis: For $30 she made miracles! Do you want a brand new one countertop for peanuts? As we know, the kitchen countertops badly age and only a few years after their installation, they are already beginning to fade. If your countertop is more than fifteen years old, there is a good chance that it is not modern anymore. To give it a small "boost" in no time here is an idea that will not cost you more than 30 dollars. What's the secret? Self-adhesive vinyl in marble (or metallic) finish. The secret is to take the time to properly apply the paper while removing the air bubbles - In less than an hour, your counter will have changed. Measure the surface to be covered to ensure you buy enough paper. For a perfect finish, always start with the sides (if you want to cover them) and the top edge before beginning to cover the surface. Use a credit card or a squeegee to remove air bubbles as you go. Make sure the countertop is perfectly clean and dry before starting this project. You can clean it with a little rubbing alcohol to remove greasy residue easily.